Bring life to the most valuable real estate in your restaurant, or any retail location... the counter! 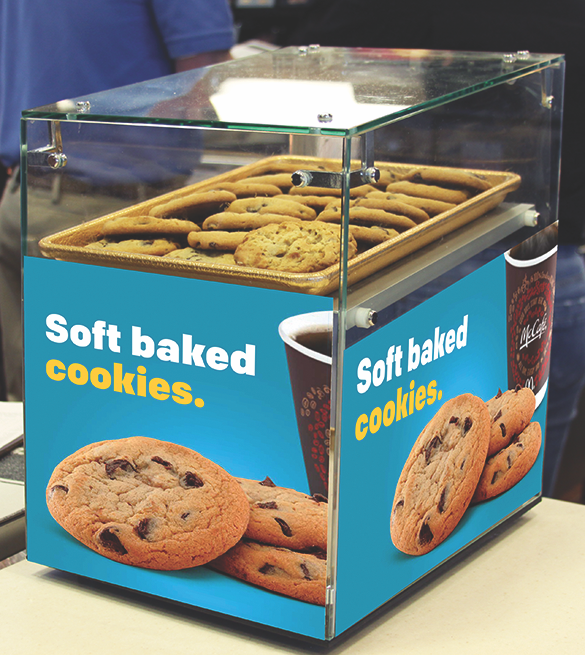 Upsell your customers and showcase new products and promotions with our variety of countertop displays. 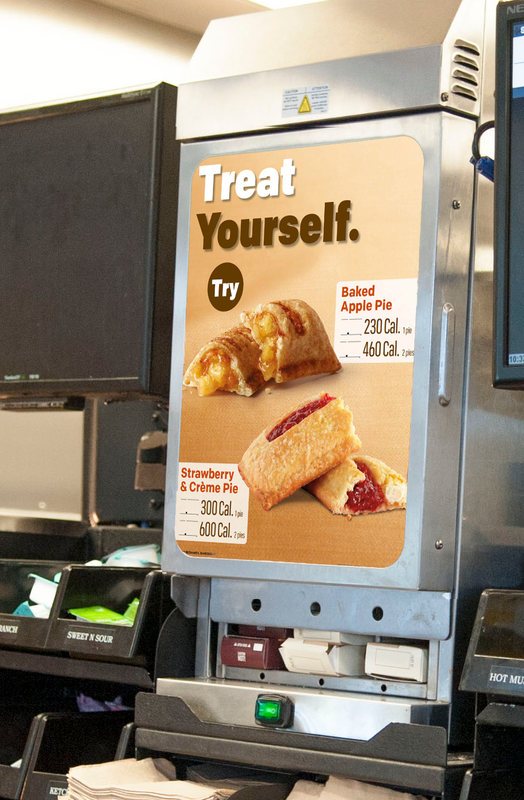 Reduce clutter and optimize your counter space with our register topper and tilter displays. This 3-D imagery and die-cut platform create disruption at the point-of-purchase. Our innovative hardware and graphics template work well with most P.O.S. systems. Tray holders maximize your merchandising opportunity in your lobby area. Tray holders are placed right on top of the trash dispenser. This product creates disruption right before customers walk in the restaurant or right before they leave the restaurant. This product helps to increase awareness and customer interest for your restaurant’s latest promotions and events. Our custom counter cards or easel cards are perfect for promoting exclusive deals, displaying information, new products or services! Our counter mat works well with any retail environment. With the right design and information, you will be able to upsell your customers with your latest promotion! Advertise new cookie flavors, pastries and other baked goods at your front counter! We print inserts and decals for your pastry merchandisers. Entice your customers to buy pastries and desserts with your eye-catching designs and engaging messages.